In addition to the general update of the R'n'D game engine the new version of "R'n'D jue" presents a nice Sokoban Collection. For details, screenshots and (of course) download links" click on the buttons below. 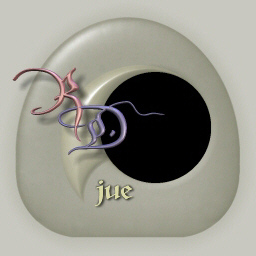 "R'n'D jue" is an alternative version of Rocks'n'Diamonds (downloadable for Windows, Linux and Mac), developed in cooperation with R&D author Holger Schemel. In contrast to the "rnd_jue -contribution package" (still available on Download page) it is a separate and independent program with the same source code as the original R'n'D but with a completely different appearance. This is based on the wide customizing features which have been developed recently while all the integrated games have been produced with the R'n'D Level Editor, which is actually a great "game creation tool" for non-programmers. So far "R'n'D jue" is also an example for what is possible with the old Rocks'n'Diamonds and should be an inspiration for potential level designers and game developers. Regarding the games and levels "R'n'D jue" is intended for players who have both an eye for an attractive design and a bent especially for "puzzle games". The user will also find "action" and many opportunities to test his manual-skill - nevertheless, the main feature of "R'n'D jue" is primarily to offer some (moderate) challenges for the brain.